Tiger Zinda hai is the big release of the season starring Salman Khan and Katrina Kaif. Film is about to release in 9 days time and it is perfect time to do the box office prediction of the film. TZH is a proper sequel to Ek Tha Tiger which was the biggest Hit of 2012. Expectation is colossal from the film. Plus, film is getting released in Christmas festive time. So sparks are certain to fly at box office at the time of its release. Many in trade have huge expectation from TZH. They are mentioning it as a sure shot goldmine and film will easily zoom past 300 crores in India alone. Few super optimist are even predicting that TZH will surely challenge the might of Dangal and Baahubali 2 in India. 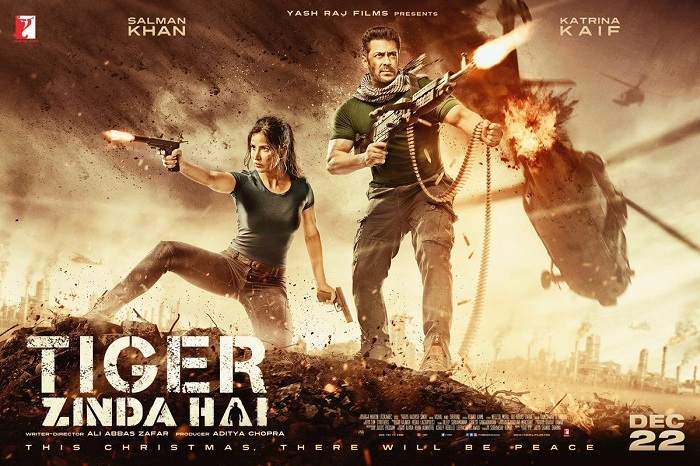 Tiger Zinda Hai theatrical trailer and song promos are liked by audiences. Buzz is all time high. Theater going audiences are just waiting for the film to get released. Plus, film will enjoy a big solo run for few weeks. There is simply no stopping for the film. Only issue is the content. Hope it is on positive side. So, without any more delay let's start the Box Office Prediction of Tiger Zinda Hai in style. Let's analysis whether film will be a Hit or Flop? Budget - Total Landing Cost estimated at whopping INR 150 crores [Production cost + P&A]. Official announcement on Budget of film is not made. Salman Khan fees is not included. This makes TZH one of the expensive movies of Bollywood alongwith Padmavati and Thugs of Hindostan. Recovery from Non-Theatrical Revenue - Tiger Zinda Hai Satellite rights are valued at approx INR 60-70 crores. However, this remuneration might go to Salman Khan as his fees. Yes, Salman is also having profit sharing in addition to this Satellite fees. Apart from this film should fetch another 30 crores or so from Music, Digital, Home Video and others. Amount need to be recovered from Theatrical Revenue - Makers should recover around 30 crores from Music Rights, home video and others prior to release of the film. Satellite Rights are not counted as it might be Salman's fees. Film needs another 120 crores to be recovered from India and Overseas theatricals. Film should atleast collect 30 crore distributor share from Overseas looking at the buzz. This is bare minimum. Figures could go anywhere in Overseas looking at the pre-release buzz. Considering it as bare minimum, film then needs to recover 90 crore distributor share from India. Which mounts to INR 170-180 crore nett business in Indian to break even. Anything above that is profit. This is a big recovery, but looking at TZH buzz, this should be a cakewalk. Release Screen Count - Film should get a release of 4000+ screens in India. Final screen count may even exceed 4500 screens. One thing is certain that it will be biggest Bollywood release ever. Single Day Business Potential - TZH has potential to collect around 45-50 crore nett in a Single Day with 100% ideal occupancy. This is staggering. First Day Collection (Friday) - TZH being releasing on Friday (normal working day). Considering this factor and Tiger franchise recall value film should collect 30+ crore nett for the day. Anything less than that will be a disappointment. Anything above 30 will be great start to the campaign. First Weekend Collection (Friday-Monday) - A 130+ crore nett in opening weekend will be a very good start at box office for TZH. Anything below 100-110 crore nett will be a disappointment considering the Holiday weekend (Christmas falls on Monday) factor. Lifetime Business - If Tiger Zinda Hai word of mouth is decent to good, then movie has every chance of going past 250 crore at box office. 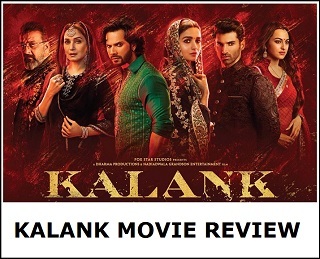 If word of mouth is good to very good then film should touch or even cross 300 crore nett in its lifetime and may even challenge the big records at box office. If that happens it will be simply rocking end to the year. First Day (Working Friday): Expected around 30-35 crore nett. If accepted: 135-140+ crore nett. If mixed: 110-130 crore nett. If rejected: less then 105 crore nett. If accepted: 300+ crore nett. If mixed: 190-290 crore nett. If rejected: Less than 180 crore nett. Our Estimate: Looking into all pre-release factors we are predicting Tiger Zinda Hai business in the region of 300 crore nett. That means it should be the Highest grossing Bollywood movie of 2017. However, if content of TZH is good to very good then there will be no stopping and it can even go beyond 300 crore nett in its lifetime business in India and challenge the likes of Dangal, PK, Bajrangi Bhaijaan and Sultan at box office. Then sky is the limit for the film and every record at box office will be in danger. We have considered pre release buzz, current box office scenario, screen count, trailer response, song promos, Tiger franchise, Christmas Holiday factor and Salman Khan star value. Hope not only film does excellent business but outperforms our prediction to collect even more than that. Do let us know your prediction for this latest Christmas biggie! What do you think whether film will collect 200, 250, 300 crore or more at box office! Also read - Release Dates of Bollywood Movies in 2017, 2018, 2019! Check my responses Ankur on http://www.addatoday.com/2017/12/question-and-answer-session-no8-open-now.html?showComment=1513143677196#c4235384240007183626. Dara nhi dost...thoda busy rehta hoon..tumhari tarah itna khali nhi...n logic hona chahiye thought me..Baahubali was at a different elvel...usne 500+ cr kiya which is unprecedented....usse compare karna hi bewakoofi hai...29 cr in itself is a huge number...and the relase is on a Normal Friday dont forget...SUnday and Monday ko advantage milega but Friday would be close to 30 cr only..not more..
TZH . Story rejected hui to 200cr. and Highest grosser of the year bollywood film also. Hi Ankit...The Advance Booking has started at numerous places... The first rounds of Advance bookings opened on Sunday at Numerous Single Screens Nationwide, and 75% of the early morning shows for Single Screens are now sold out. Multiplexes are expected to open the Advance Bookings on Wednesday and a very strong response is expected from them as well. 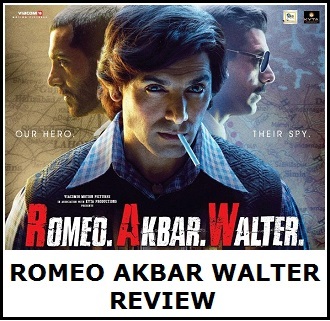 Believe me that the film is likely to set new records for Salman Khan starrer film, provided the content of the film matches the expectations of the people. ZINDA HAI is brilliant song with fully actions dhamaka. Hi Rajan...Hi Ankit...The Advance Booking has started at numerous places... The first rounds of Advance bookings opened on Sunday at Numerous Single Screens Nationwide, and 75% of the early morning shows for Single Screens are now sold out. and please keep updating us about TZH Advance booking updates and buzz please. Cost of Production - INR 130.00 Cr. Prints & Advertising - INR 20.00 Cr. Total Budget - INR 150.00 Cr. India Screen Count - 4600.
International Screen Count - 1100. Worldwide Screen Count - 5700.